How Do I Uninstall LibreOffice without Any Troubles? 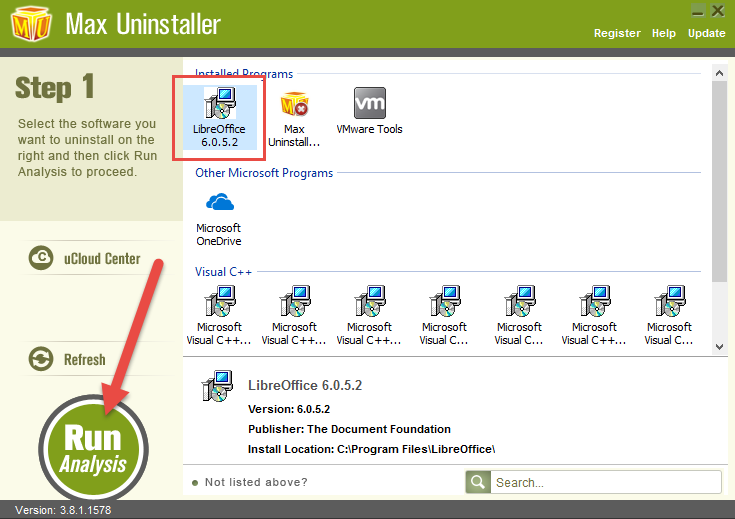 For some reasons you may fail to uninstall LibreOffice in Windows. Our instructions will guide you through the correct removal process with step clearly explained, and you shall learn a lot after reading this page. LibreOffice is an actively developed free and open-source office suite, with approximately 50 times the development activity of Apache OpenOffice, the other major descendant of OpenOffice.org. And LibreOffice Online allows for its user through a web browser by using the canvas element of HTML5. Anyway, this may not be your concern, so we’re not going to say too much about the program description. Let’s get straight to the point. To completely uninstall LibreOffice or other programs, you shall perform every step in order to avoid unwanted consequences. 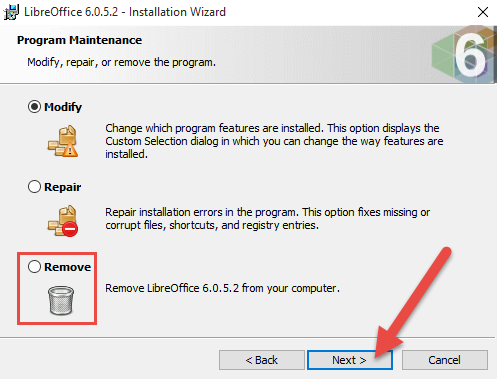 How Do I Manually Uninstall LibreOffice in Windows? Step 1. If possible, make sure LibreOffice is not running first. Shut down the program from the System Tray in the bottom-right corner of your screen, and end every process associated with it in the Task Manager (Press & hold Ctrl + Alt + Del to open it). How to forcibly close a program that is not responding? Step 2. Access the program list (Programs and Features or Add/Remove Programs). In the bottom-left corner of your screen, right-click the Start button, and select Programs and Features. Step 3. 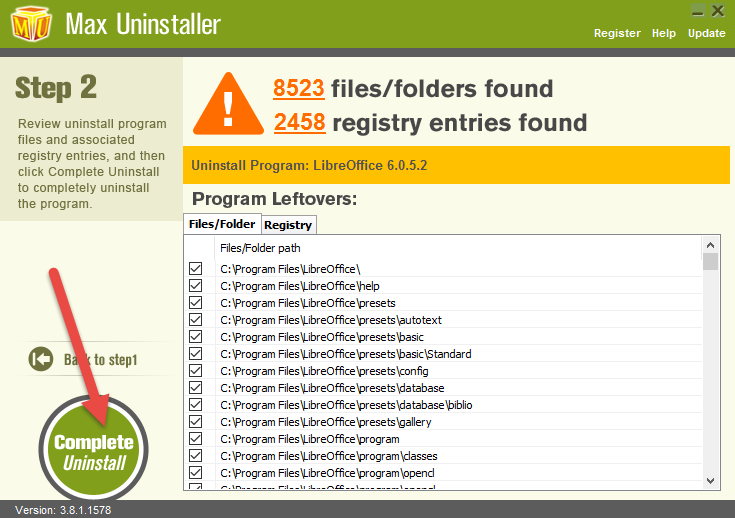 Uninstall LibreOffice by activating its default uninstaller. You’re brought to the Programs list. 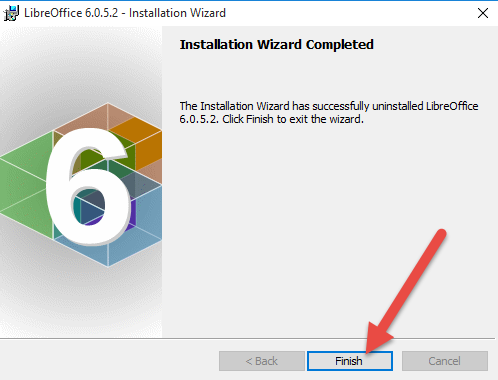 Double-click LibreOffice to activate its uninstall wizard. Step 4. Let the built-in uninstall wizard finishes its job. Confirm this removal by clicking “Next”. When presented with options including “Modify” “Repair” and “Remove”, select “Removal” and click “Next” to proceed. Then wait for the process to finish. Restart your compute right away if necessary. Step 5. Go to the Registry Editor. To ensure everything of this program will be eliminated, you need to track down it’s leftovers in disks. A complete removal is also a fresh start of reinstallation. Press and hold the Windows key + C on your keyboard to open the Charms, select Search, and enter “regedit” in the box to open the Registry Editor. Step 6. Delete the vestiges to completely uninstall LibreOffice. On the navigator of Registry Editor window, click Edit > Find…, then enter “LibreOffice” to find the related file(s)/folder(s), right-click it (them) and select Delete. If you like, go back to the System Tray, Task Manager or Control Panel and check whether LibreOffice has been removed. If you think the above steps are too tedious to go through, or any of them failed somehow, consider the following removal method, which I have recommended for most of users who were in similar troubles. 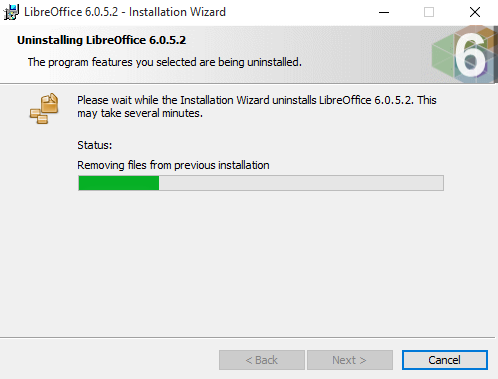 Any Better Solution to Uninstall LibreOffice? 2. Find LibreOffice any of the three above-mentioned programs (And do the same to the rest) in the list of Step 1 > Select it and press Run Analysis on the left > Select all the shown items and press Complete Uninstall. 3. Wait until this part finishes and the below green Scan Leftovers button turns into green > Click on it to proceed with the removal > The registry keys will be presented > Select all of them and click Delete Leftovers. This way the program shall be gone for good. Since there are so many people that don’t want to or don’t know how to perform the conventional cleaning process, this would be a better choice for them to save much time. If you happen to be one of them, I believe you will like this trustworthy tool.